There is an important distinction in ethics between implementation rules and constitution rules. A constitution rule tells you what it takes for an action to be morally right. An implementation rule tells you how to respond in action to a constitution rule. This lecture is concerned with how to frame implementation rules and the problems they pose for certain ethical views. The Maurice Goldsmith Lecture is an annual lecture presented by an eminent philosopher working in ethics and/or political philosophy. Jackson is Emeritus Professor at the Australian National University and held a half-time appointment at Princeton University from 2007 to 2014. 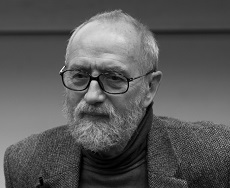 In 2006, he was awarded the Order of Australia for his service to philosophy and social sciences. He delivered the John Locke Lectures at the University of Oxford in 1995. The Locke Lectures are the most prestigious international lectures in philosophy. He has published ground breaking work on the logic of conditionals, the philosophy of language, the philosophy of mind, and ethics. In ethics he is well known for defending a realist and naturalist view of moral properties, with strong sympathies towards consequentialism. Please see video of Frank Jackson's lecture.